It's already two months since May and that means my vacation is almost over and new semester on the edge, starting next month (August 26). While it's should be vacation, but i'm not really in vacation since i have been appointed as a coordinator for this year's YKFS service learning program. It really consume most of my time during the program. After YKFS was completed early this month, my next task is focusing on the procurement and also preparing for next semester. We had lots of meeting in the office and so far so good. Everything is under control. In the last two days, i have been playing with a new toy called Proxmox. It's a Debian-based Linux distribution used to provide virtual environment. I wanted to test this product so that i can use it to help students for their final project when they need additional resources. So far, i have a fully working Proxmox 3.0 and also i have successfully installed a Slackware64-14.0 as the first VM client and it's working well. I had a problem of configuring it so that the client is able to access the Internet, but it has been sorted few hours ago. I might be able to use this VM client as my new build machine in the future. It's a free product and easy to use. The default installation will take all of your hard disk, so make sure you have no data inside it, since it doesn't ask for manual or custom partition layout. 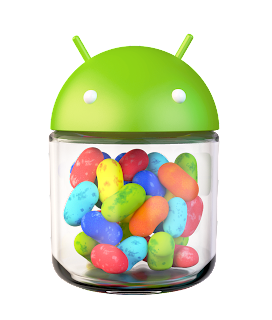 Google announced the availability of Android 4.3 Jelly Bean to public and it has powered the new Nexus 7 tablet and soon other devices as well (Nexus 4, Nexus 7, Nexus 10, and Galaxy Nexus HSPA+ devices across the world). More detailed information about this new version can be seen at their platform highlights, API Overview, and DevBytes Videos. Google also released Android NDK (r9) and also Android Support Library (r18). Apache OpenOffice 4.0 is finally released after so long of development took place between 3.4.1 and 4.0. It has new logo as a result of many design iterations, collaboration among talented designers and a contest where 40 logos were rated by over 50,000 users. See the rest of the features on their Release Notes. LibreOffice 4.1 is getting closer to the final version as they are now in RC3. If there are no showstoppers, this RC3 will be used as the base for the final version. The upcoming 4.1 will be the sixth major release in two and a half years, and comes with a nice set of new features. International Service Learning - YKFS V is finally over after the HK team depart to Jakarta and then followed to Hong Kong at around midnight. It's been a great work for the past 3 weeks in Banjaroya Village and the strong bond between both students will be reminded even though they are separated. We have prepared this program for some time along with the HK coordinator and staffs via email. There has been a lot of changes since last year, but we hope that the changes are for the best interest for both parties and it seems the changes i proposed does work as intended and gives us more advantages rather than disadvantages. I must admit that it wasn't the best service we can do, but i have done my best to make sure they are enjoying the trip in the village and also having the best farewell party in the end of this program. Lately i'm just simply to busy at work related to the service learning in which i was appointed as the main coordinator. I had to act as the finance officer as well, so it's quite tiring as i had to travel Jogja - Banjaroya several times a week, especially in the last few days since we are nearing the end and lots to be done here. At this time, we are working on the banner and the final report which will be handed to the head of the regency on Wednesday. The deadline should be on last Friday, but somehow the students missed it and we had to work extra hard yesterday to collect them and revise it again and again. At the end, i didn't complete all of them and there are 2.5 reports left to be done. Hopefully it can be completed today and we can send it for production later. Well, that's what keeping me busy these days along with managing all Slackware-related stuffs since -Current is now moving again with pretty big changes such as inclusion of KDE 4.10.5 and Linux Kernel 3.9.9 among other changes. Twelve years ago, i asked my friend (now become my wife) to become my girlfriend at the church and she replied YES. That was our first official journey to create a bond of love between us and it lasts for ten years before we got officially married last 2011. Although we now have our new anniversary during our wedding, we still celebrate our first anniversary, because without the original anniversary, there won't be any wedding and there won't be Alysia who has now joined our family and she's now six months old.